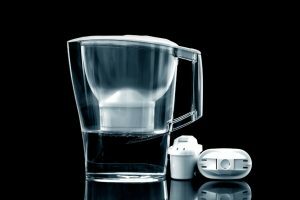 In this article, we list some of the best home water filter pitchers that are available in the market. We all have the right to get access to clean and drinkable water. During the olden days, we had to boil the water or add other things in an effort to filter it. But today, it is easier to get clean water, and that is through at-home water filter pitchers. 90% of all zinc, copper, lead, chlorine, odors, heavy metals. Purified, mineralized and alkaline filtered water in one! Nowadays, people are a fan of convenience. We want everything to be served in an instant. We might never know why we have evolved to this type of outlook on life. But for us, the faster we get what we need, the better. For example, the water filter pitchers. In an ideal world, the best way to drink water is in a purified form. However, filtered water is still drinkable, and it’s also prepared in an instant. Therefore, us being “convenience slaves,” we gear towards filtered water compared to purified water as the former is easier to do. Why? Because we can purchase some of the best home water filter pitchers. Find out in this article which home water filter pitchers would give you the most bang out of your buck. 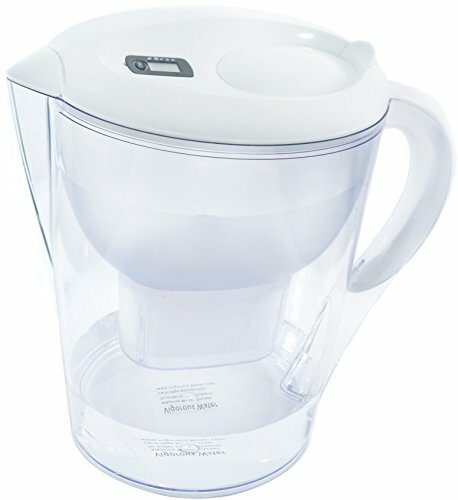 The Ecosoft 8 Cup Water Filter Pitcher is the simplest pitcher on this list. It simply filters your water. In contrast with other common water filters, it has a basic and no-fuss design. It has the capacity to hold up to eight glasses of water which is the required amount of water intake for a person. The filter somehow lasts long as it can push through for up to three months. It is also easy to pour the water as you just need to flip it. You do not need to worry if the pitcher would slip and slide as it has a non-slip design with its legs having full traction. You can choose from five different colors, namely black, blue, green, red, and white. For those people who are concerned over ingesting any plastic content or material, you need not fret as this pitcher is BPA free. The best attribute of this home water filter pitcher is that it is very simple to use. It is just your regular joe where you put water in it, and you just let it do its thing. The design that it has is perfect for families who have kids. Since the bottom of the pitchers somehow sticks on the surface, it minimizes pitcher spillage accidents. It is also a good thing that it comes in a lot of colors so you can pick a color that resembles your kitchen aesthetic. The grip is also large and provides for ease of access. Although made of plastic, it is not made of cheap materials; it can withstand the torture that you would rain on it. Sometimes, less is not the best. The simple design feature of this home water filter pitcher is also its biggest flaw. The filter part of this pitcher is perfectly placed at the middle, so water at the top cannot be filtered while the pitcher is full. This supports the idea that you can’t outright use a full pitcher just as when you fill it up since some of the water has not yet reached the filter. Patience is indeed a virtue if you want to use this pitcher to have completely filtered water. You cannot refill it right away as you have to be sure that the water that was at the top gets to the filtering part, which is a hassle on your part when you just refilled the pitcher, and you are already thirsty. 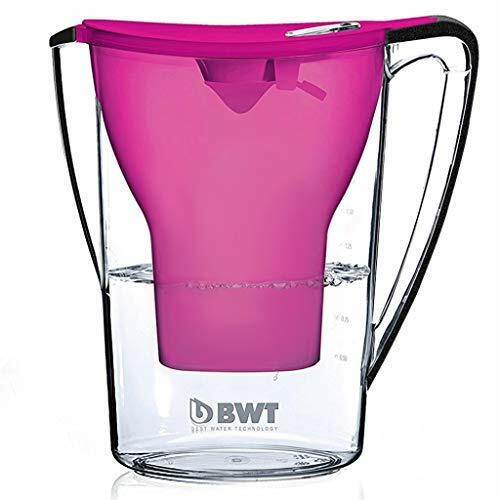 The BWT Designer Austrian Quality Water Filter Pitcher is the only home water filter pitcher in this list that has won awards. What is so special about it? It boasts of an excellent filtration system that is aided with what they call as magnesium technology. This type of technology not only eradicates the chlorine and other harmful substances in your water, but it also makes the water mineralized. Thus, you have fresh-tasting, clean water. The taste that this filtering technology leaves is also proven to improve the taste of your coffee or tea. It comes in three colors: pink, blue, and white. The twin filter design makes filtering the water faster. It is also made of high-grade materials that also help with the taste of the water. Who does not want an enhanced water taste? Yes, water should be tasteless. Thus, we have these filtering technologies. But if you get to drink water that tastes as those we get from freshwater rivers, then we are all for it! This home water filter pitcher not only focuses on filtering your water, but it also leaves your water tasting better than before. To the point where your coffee and tea would have more robust flavors. Moreover, magnesium is also beneficial to our body. Other than the taste factor, it is also a huge plus that this pitcher filters the water fast due to its nifty design. Yes, you still have to wait for the water to be completely filtered, but not as a long wait compared to other products that do not have a twin filter design. Different strokes for different folks, they say. As much as we want to rave on and on about the fascinating flavor, this filtering technique gives, not all people would want water that has a slight flavor. More often than not, people prefer water to be tasteless. The name of this home water filter pitcher says it all. Not only it is vigorous for its filtering technique, but also you get healthy alkaline water. But to top it all off, this is the largest pitcher (in terms of liters it can carry) in the bunch. It is definitely a looming healthy giant. It not only removes harmful substances from your water but it also makes your water healthier. 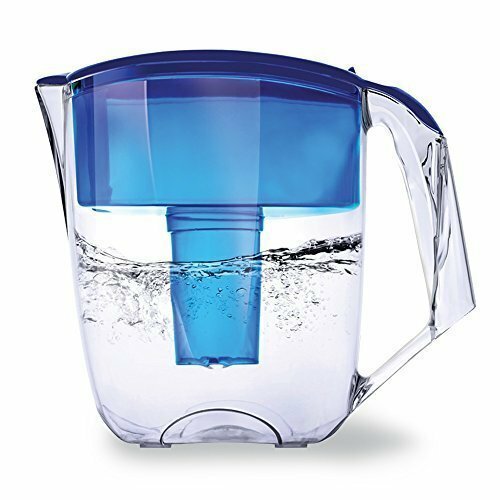 Alkaline has been the mascot of health junkies as it gives optimum hydration compared to regular water, and when you combine that concept with a very convenient filter pitcher, then it is a win-win situation. The filtering system is also huge such that it would provide for a fast and efficient filter. The pitcher was also designed to fit most of the regular refrigerators. Undoubtedly, the obvious advantage of this home water filter pitcher is that it provides alkaline water. You put regular tap water in it, and you have healthier water. It does not get any better than that. The size of this pitcher is also beneficial as you do not have to keep on refilling the pitcher for it to be used all day. It is simple as this – not a lot of people like alkaline water. Although it has its respective health benefits, people do not reach for alkaline water as it tastes unusual. It has this metallic taste that you cannot just get over. In the end, filtering the water for it to be tasteless is a moot argument. The BWT Designer Austrian Quality Water Filter Pitcheris the clear winner. It provides the best of both worlds of the other two pitchers. It filters the water well, but it also leaves that hint of magnesium that is also healthy when ingested. Also, it does not go as far as to commit to being as healthy as alkaline water. But, it moderates the health aspect in exchange for having a pleasant taste – which is very favorable to a lot of people. In addition, this water filter pitcher garnered numerous awards for a reason. It is not a simple pitcher, but it is also not that complicated, it strives for that perfect balance. To conclude, this pitcher provides you with everything you need in having clean water. If you want water that would enhance the flavor of your caffeine filled drink, you would also love this filter. 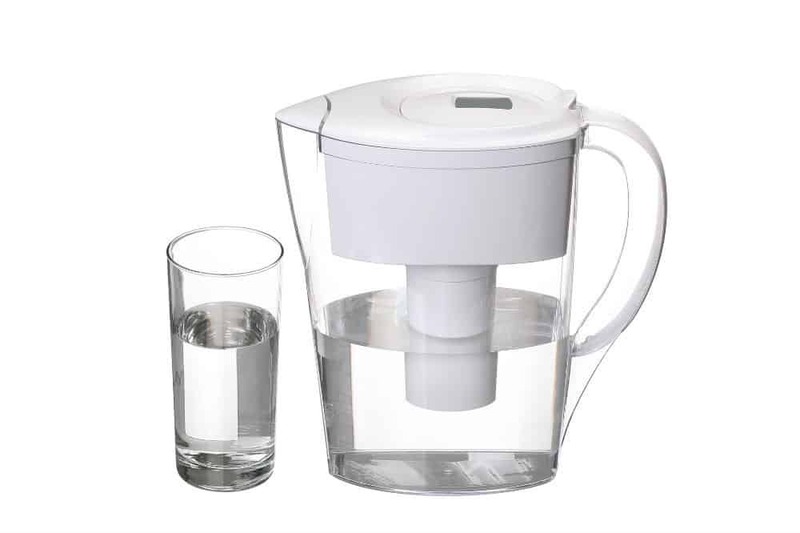 Lastly, if you are someone who wants to get some health benefits from your water, this home water filter pitcher is perfect for you.